For many years, people have tried to understand some of the causes of organizational failures resulting from worker dissatisfaction. Researchers have explained some of the organizational processes responsible for employee de-motivation, but little academic and practical work have been done on communication as the foundation of organizational course of action. A classic in the field of Communication, this book is designed to let you understand the realities of communication within organizations. The book examines how managerial communication affects work output in contemporary organizations. The work adopts an empirical method of collecting data from workers from both multinational and public organizations to form the basis of the book. If you want to understand the art of personnel communication, and the process of mastering your own communication, this book provides you with clear and easy to follow steps. 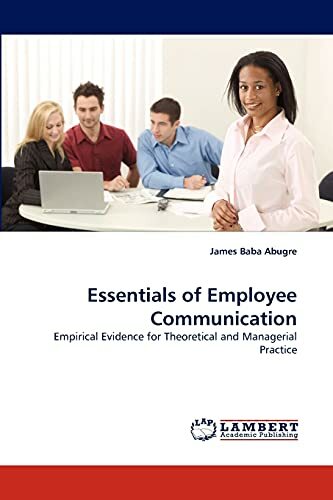 This book is useful to professionals in communication, practicing managers and students in academia, and every person who wants to learn about communication in organizations.